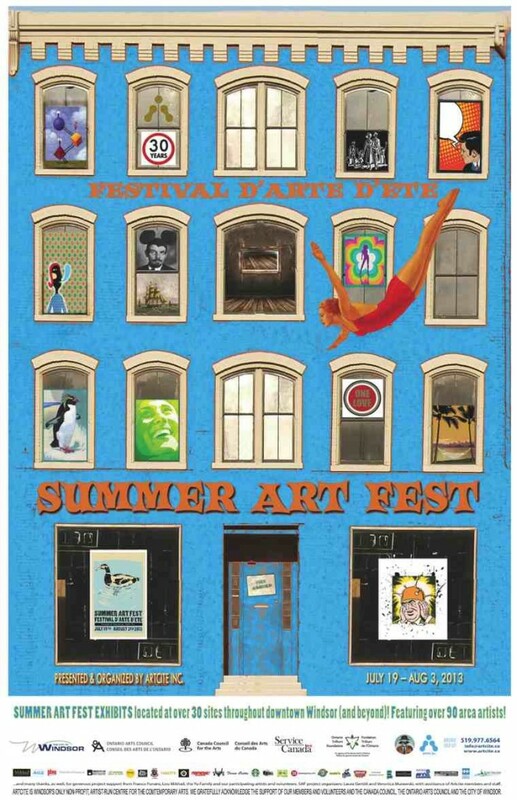 Collette Broeders is participating in ARTCITE’S “SUMMER ART FEST” Located in sites throughout downtown Windsor. Artcite Inc., Windsor’s only non-profit, artist-run centre for the Contemporary Arts, presents its 6th annual ARTCITE’S SUMMER ART FEST (previously Visual Fringe) featuring the contemporary works from Windsor-Essex, Detroit area and U.S. artists in downtown galleries, businesses, storefronts and non-traditional venues from July 19 – August 3, 2013. This FREE ADMISSION event is a perfect opportunity to enjoy the local art scene. Exhibits feature sculptural installations, photographs, drawings, paintings and a satellite gallery. Visit www.artcite.ca or drop by Artcite Inc. (109 University Ave. West) for the most up-to-date list of participating artists and spaces and a convenient map & guide!